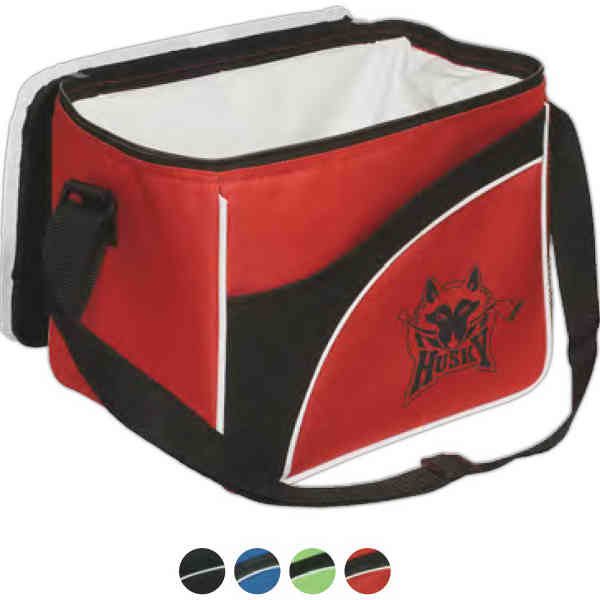 This Ice® jet-setter 12-can cooler is sure to help your brand look cool during upcoming promotional events! Made of 600 denier polyester with contrasting white piping, PEVA lining and foam insulation this gift features a zippered main compartment and front pocket with hook and loop fastener closure. Also, it has an adjustable shoulder strap and mesh side pocket. Add your logo to help promote your business! Lifetime guarantee. Supplier is QCA certified. Size: 12 " x 9 " x 7.5 "